By providing health care and medications to patients, a pharmacy technician provides invaluable support to a licensed pharmacy. 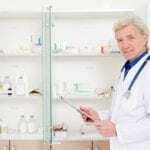 The need for pharmacy technicians will grow in response to rising demand for medications, the medical needs of the aging baby boomer population, and the national shortage of registered pharmacists. Pharmacy technician programs prepare students to fill vacancies in home infusion pharmacies, community pharmacies, hospitals, and other health care settings. Graduates of the program can take the PTCE to become a Certified Pharmacy Technician. The Texas State Board of Pharmacy recognizes the PTCE as the standard of a technician’s competency. Practice as a pharmacy technician in Texas requires certification from the PTCE and registration with the State Board of Pharmacy. According to the Bureau of Labor Statistics, approximately 407,200 technicians will be employed by the year 2024 in response to the nation’s health care demands. The pharmacy technician program at South Texas College is accredited by the American Society of Health-Systems Pharmacists and the Accreditation Council for Pharmacy Education. The program prepares students for success on the PTCE administered by the PTCB. Students obtain a Certificate upon successful completion of the program. The school also offers an option for students to obtain the Pharmacy Technology Associate of Applied Science degree. The graduation requirements for the certificate are 40 credits and 60 credits for the AAS. Course topics include anatomy for Allied Health, pharmaceutical mathematics, introduction to pharmacy, drug classification, pharmacy terminology, pharmacy law, pharmacy third party payment, community pharmacy practice, institutional pharmacy practice, and pharmacotherapy and disease process. Students will also complete a pharmacy technician certification review and a practicum. Hands-on training will help students develop skills to perform computer entry of the prescriptions, fill prescriptions and orders using proper labeling and stock selection, receive payment, collect patient information, and purchase and rotate inventory. Tuition costs $100 per credit plus fees. The pharmacy technician program at Southern Careers Institute is available in a traditional and distance education format. The program prepares students for registration with the Texas State Board of Pharmacy. Graduates are eligible to take the PTCB exam to become a certified pharmacy technician. Through classroom lectures and practical experiences, students develop the knowledge and skills to qualify for entry-level employment in a pharmacy setting. Course topics include anatomy and physiology, word processing, customer service, career readiness, pharmacy computer applications, pharmacy technician I, II, and III, math for pharmacy technicians, introduction to pharmacy, medical terminology, diseases of the human body, pharmacy management, and pharmacy certification prep. The curriculum covers a total of 848 hours, including 510 theory clock hours, 170 lab hours, and 168 extern hours. The curriculum is designed to be completed in 33 to 45 weeks. Complete a fingerprint session including a fingerprint fee of $43. CHCP’s provides pharmacy technician students with the skills they need for professional success. The duration of the program is nine months and covers training in measuring medications, inventory management, and packaging and labeling. The curriculum includes theory and practical instruction in pharmaceutical mathematics, pharmacology, aseptic technique, sterile and non-sterile compounding, medication preparation, preparation of hazardous products, inventory and billing, and customer service. The program covers a total of 900 hours including 503 classroom hours, 217 lab hours, and 180 clinical hours. Students earn 43 credit hours at the conclusion of the program. Upon completion of the classroom requirements, students will participate in a clinical externship to put their skills to use in a real-world setting. Tuition for the 36-week program is $15,350. Job placement assistance is available for all students. Financial aid is available for eligible students. The comprehensive pharmacy technician program at UTRGV covers 50 hours of classroom instruction and prepares students to take the PTCB exam. 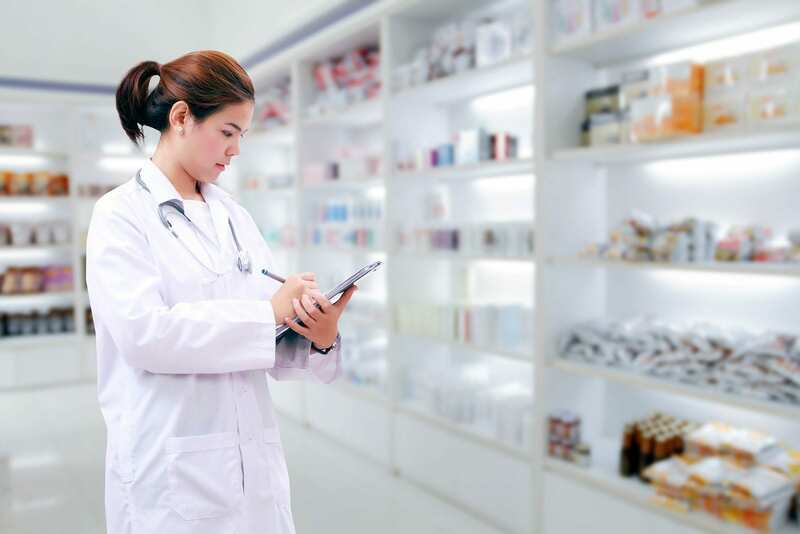 Students learn pharmacy medical terminology, pharmacy calculations and measurement, reading and interpreting prescriptions, pharmacy calculations, defining drugs by generic and brand names, and pharmacy practice in multiple environments. Other course content includes handling of sterile products, dose conversions, I.V. flow rates, total parental nutrition, dispensing of prescriptions, inventory control, aseptic technique, and billing and reimbursement. Students have the option to complete an 80-hour externship to gain valuable work experience in the field of pharmacy. Be 18 years or older – to sit the PTCB exam. Tuition for the program is $1,299.